To be in the right place at the right time. This is the definition of luck…You’ve seen it in action, haven’t you? Some people are suddenly propelled into the spotlight; get long or short lived fame, good money, and happiness by being WHERE it happens and WHEN it happens. For the right place, you can design your own by using the power of Feng Shui tailored to your home and business, and then align more with this prosperity. But what about the WHEN? I was blessed to be taught advanced form of metaphysics from host the East and West side. Initiated to the Tarot at a very young age, I have helped countless people to make the right move, look into their struggles and empower their life with the ancient wisdom of this powerful Western oracle. I started my career in Paris and then moved to London, UK. There, I became very successful as a psychic and tarot reader, on top of my astrology and Feng Shui work. I eventually was invited to fame to collaborate on the book The Tarot masters: insights from the world’s leading Tarot experts following my successful presentation at the prestigious UK Tarot conference in 2011, on the Yin and Yang of Tarot. If you want to know more about the Tarot and how it can guide you, you can read my page on tarot now. On the Eastern side of things, I master the following oracles and techniques to perform the best possible date selection: Qi Men Dun Jia, Bazi, Xuan Guong Da Gua and Da Liu Ren oracles. With those Chinese oracles, I can select for you the best possible days to get married (straight or gay); for your business opening; for your country and house move; and generally tells you when and where to make your best move. Knowing your timing is EVERYTHING. So let’s see how it can all work for you. You see, there are different scales of time. First, there is the Universal time, and inside this one the time that rules our planet Earth. This time is made of cyclical patterns and also of expansion. While westerners often see Time as a straight line, Asian understand that it’s more like a spiral; some cycles repeat, at regular intervals, while there is still an overall progression. Those cycles, of hours, days, month, years, whole eras, can therefore be used for accurate predictions as they repeat over time. You see it at work in the seasons, by looking at the animal and plant kingdoms. A seed, a growing phase, then burgeoning, giving flower, fruit, and seeds again…spring, summer, autumn, winter…Even if you live in a climate with only 2 seasons, or with the illusion of a constant weather, changes to occur and follow circular patterns. Chinese have observed those changes over millennia and were therefore able to put them in calendars, but also into oracles that predict the nature of the universal energy, the Chi, at a given time for a given person or place. The Qi Men Din Jia method for example (pronounced Chee Meun Duun Chia) is an oracle that was used for military conquests, such as the famous Battle of the Red cliffs. Nowadays we use it for business purpose, travel and to rewrite someone’s luck. Then there is YOUR personal time. 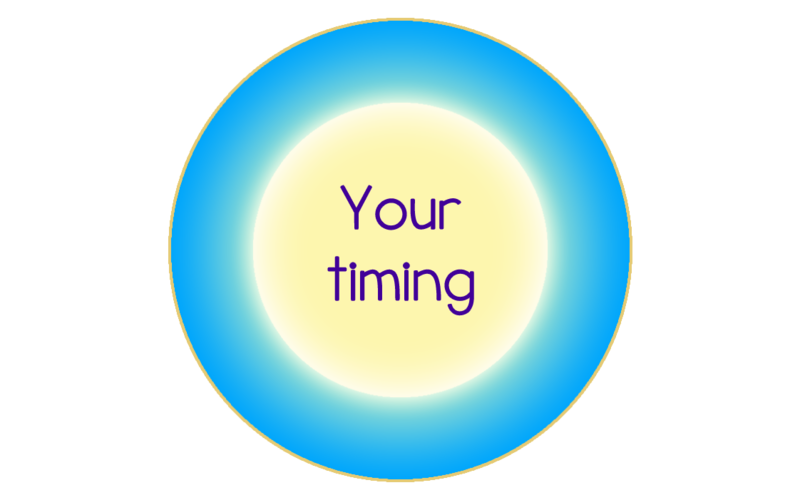 Through the analysis of your Bazi, we understand who you are but also what your personal timing is. Challenges, opportunities, important life meeting, U-Turns and strike of lucks are laid out in your Bazi. Of course, your free will can avoid the opportunities on your path…But once you have this knowledge, then you can foresee and act accordingly. For example when is the best time to sell your business and open a new one? When is the best time to design or move into a new home? When is the best time to release a book, an album, a movie? Will your collaborators be successful in the next 5 years, and will it benefit you? When is the best time to get married or meet someone? This is all showing in your chart, and I am here to assist you understand those cycles, pattern, opportunities through my astrological coaching. How does your personal time combine with your planet, country, and city time? First, there is once again the proper Feng Shui setup for you. either in London or overseas so you can live in synch with where you are and bring opportunities on. getting help with legal problems etc. I am especially blessed to work with talented artists, in the music and movie industry, and I am honoured to help them shape up their career. London and the UK have been good to me. It’s absolutely thrilling to work for artists and see them blossom! You can be a Hollywood movie director, a producer, an actor, a singer, a writer, a businessman, an entrepreneur…Whatever your work, you can always benefit from knowing your own timing, the planet timing, and see how both can align. I am grateful to be able to choose who I serve and assist in their career and accomplishments in my career. You choose me, and I choose to work for you, it works both ways. In other words, if we work together, you are someone who also thinks of how you serve other people and this planet, beyond your own happiness and success. If you support some form of discrimination, animal abuse, ecological disasters and corruption through your work, I am not the right consultant for you. You want to know when to act to get the best out of your life? You want to go the next level? To be at the right place and at the right time? Then wait no more and contact me now!